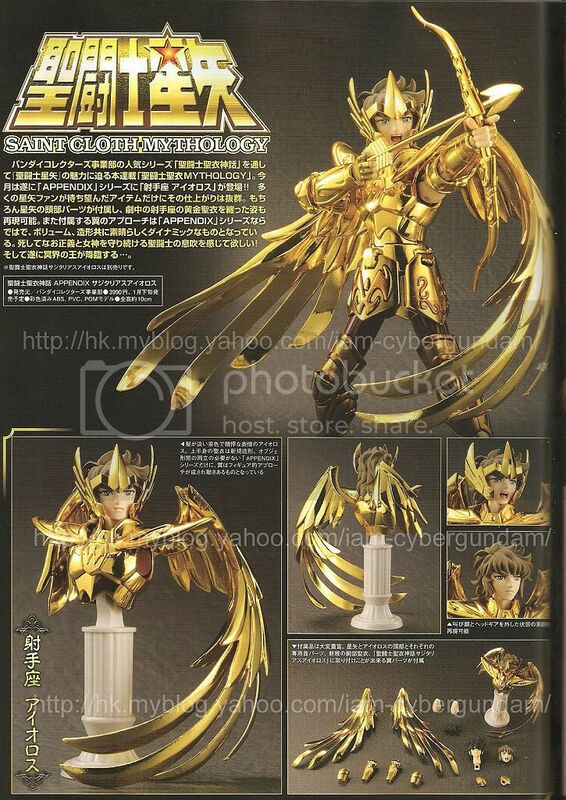 Bandai is going to release the Saint Cloth Myth Appendix: Sagitarius Aiolos bust appendix from classic manga/anime Saint Seiya. This appendix will be released in January 2011 around 3,800 yen. 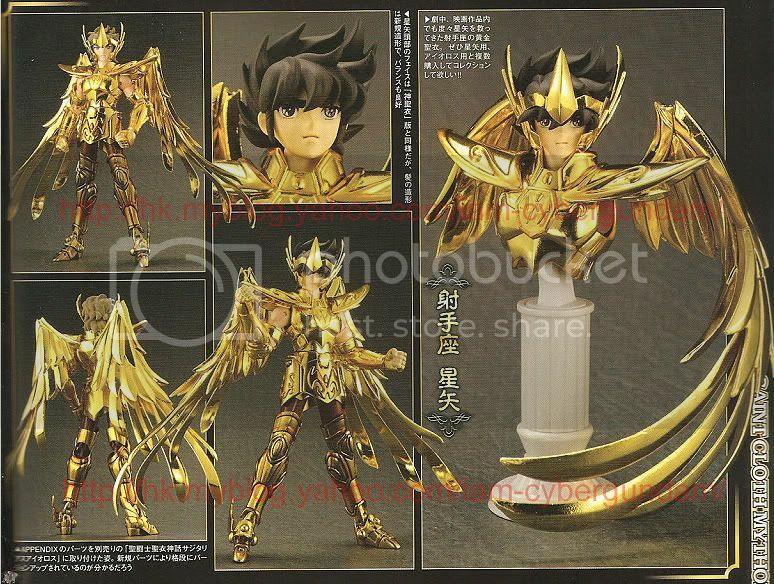 Well, this might be a good news, especially for those who want to swap the original Aiolos head badly. This appendix apparently came in the right time when most of collectors seems to get bored with Myth Cloth's current releases. With this appendix, Aiolos face has become more gentle and he looks like a real hero now. The wings are awesome and they look natural. You can also snap the appendix together with the original figure of Aiolos. You still collect SCM bro ? i do. i still have them displayed at my apartment. oh come to think of it, i haven't post anything about my collection in this blog. maybe later i'll post them too. i actually saw this being auctioned in the site of Private Import Japan. urgh! i really must buy one. 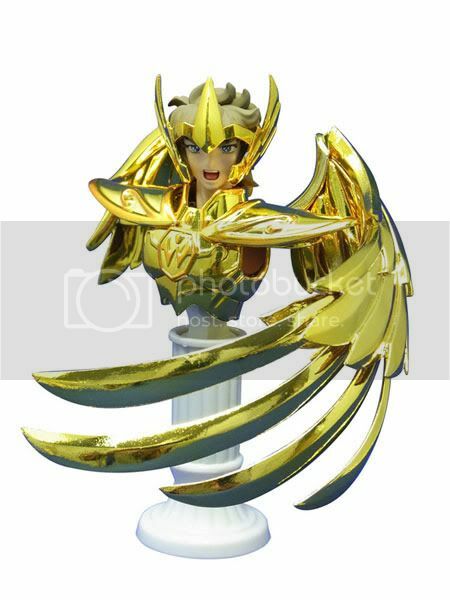 that shiny shimmering armored figure is really a must have!